PRESIDENT MICHAEL D Higgins has led the tributes to renowned musician and composer Mícheál Ó Súilleabháin who has died aged 67. Emeritus Professor of Music at the University of Limerick, Ó Súilleabháin was chair and founding director of the Irish World Academy of Music and Dance. Known for his frequent collaboration with RTÉ’s National Symphony Orchestra, Ó Súilleabháin also worked in broadcasting on programmes including A River of Sound. A representative of much of what is Irishness at its best, Mícheál Ó Súilleabháin has left us with an indelible legacy, both through his music and through the Academy, which he led for over two decades. 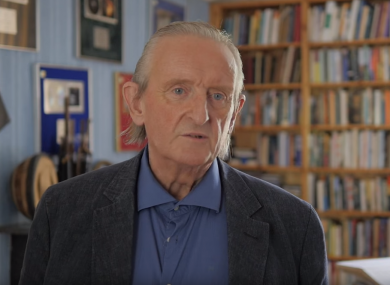 Madigan also praised the composer’s “significant role” as the first chair of Culture Ireland – the body responsible for the promotion of Irish arts overseas – while President of the University of Limerick Dr Des Fitzgerald expressed “enormous sadness” after Ó Súilleabháin’s family announced his death yesterday. A student of legendary Irish composer Seán Ó Riada at University College Cork, Ó Súilleabháin studied for his PhD at Queens University Belfast. Ó Riada’s daughter, recent Presidential candidate Liadh Ní Riada MEP, described Ó Súilleabháin as a “legendary pianist and composer”. Born in Tipperary in December 1950, Ó Súilleabháin passed away after a prolonged illness. He is survived by his wife Professor Helen Phelan and their son Luke; sons Eoin and Mícheál, and their mother Dr Nóirín Ní Riain, and by his brother John. Email “President Higgins leads tributes to musician and composer Mícheál Ó Súilleabháin”. Feedback on “President Higgins leads tributes to musician and composer Mícheál Ó Súilleabháin”.